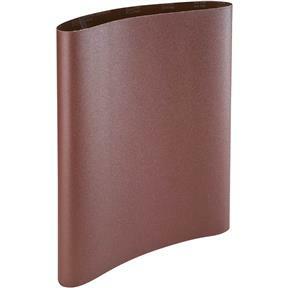 This belt features tough aluminum oxide grain on an “X” weight paper backing. This product has more “body” than other “X” weight products making it well suited for wide belts. While it will not take the abuse of the “Y” weight Aluminum Oxide Belts for Wide-Belt Sanders, the do-it-yourselfer will find it affordable and effective. 37" W X 60" L, 60 Grit.